When I started learning about minimalism, there wasn’t much for inspiration from people with families. I had 4 children and one on the way when I decided to purposely head in a minimalist direction. Could it be done with a family of 7? Yes. But since there wasn’t a lot to find online, there wasn’t much for examples to follow. It seemed like the only people that were writing about it were extreme minimalist, who kept track of the number of items they owned and they were most often single. Raising Minimalist Children in a Society of Excess Tiffany, mother of 3, talks about how to combat the “mommy guilt” that tends to come when spending time with families who have different standards of living. Minimalism Despite a Large Family Teresa, mother of 11, shares how she rewards her children when they declutter, and how to keep the living room tidy, even with several toddlers running around. No Excuses: Minimalism with Kids Leo Babauta, father of 6, goes over 9 key points he’s learned with embracing minimalism with a large family. How to become Minimalist With Children Joshua Becker, father of 2, walks through the process of introducing minimalism to children and what steps to take along the way. 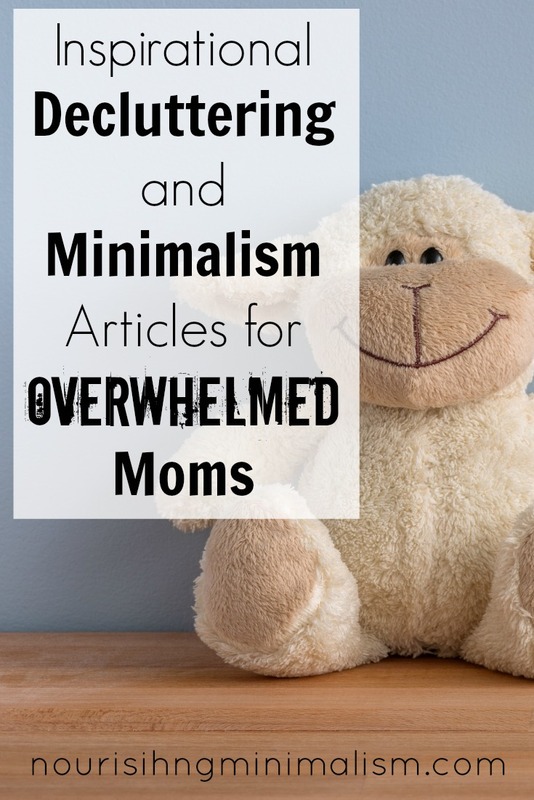 3 Things to Teach Your Kids About Minimalism Robin, mother of 2, talks about how to gently lead your children and involve them in a lifestyle change without forcing or manipulation. Creating Children’s Capsule Wardrobes Sami, mother of 2, gives excellent examples of the capsule wardrobes she creates for each season, for her children. Minimalism & Children Nina, mother of 3, talks about the practicalities of embracing minimalism with children in the home. My most commonly ask questions revolve around how to deal with excess toys. It seems like a full time job to manage the amount and it steals so much time! Yes, the toys are overwhelming- and too many toys is overwhelming for the children, just as much for the adults in the home. The best way I have found for limited toys is to get the kids on board with an experiment, where we stashed all the toys “just to see” what it was like without them. A while later, when they’d forgotten what was in the boxes, we made a deal: they wanted scooters, so I traded them: I got them scooters to ride, and they let me get rid of the boxes in the garage. Part of the deal was that they couldn’t look in the boxes. I’ve used the same method myself. If I have things I’m afraid to get rid of, I can put them in a box, tape it up and date it. If I haven’t needed anything from the box by the date specified, I get rid of it- without looking at the contents! For most people who have drastically reduced the amount of toys their children have, a cold turkey approach tends to be the most effective. How Getting Rid of Toys Made Us a Happier Family! Heidi, mother of 2, talks about how they let go of masses of toys (that were well organized) and found that her children now love their playroom. 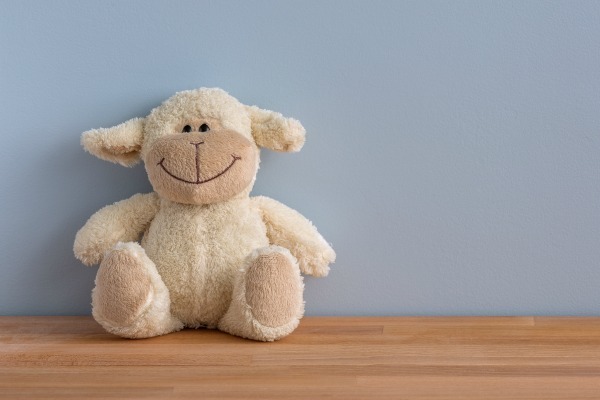 Why I Took My Kids’ Toys Away (& Why They Won’t Get Them Back) Ruth, mother of 2, talks about how an impulsive decision to take away the toys made a drastic difference in their home. Why I Got Rid of the Toys Denaye, mother of 1, shares how they transformed the playroom in their home and changed their toy philosophy. Children and Hoarding: Help Kids Get Rid of Their Toys Carolyn Koehnline, a licensed mental health counselor goes over how to walk children through the process, and how to make the decluttering experience a pleasant one. A Funny Thing Happened When I Got Rid of My Kids’ Toys! Erika, mother of 4, goes over the beneficial things that happened in their home when they got rid of the toys. and in Breaking Up With Toys! she goes more in depth on the thinking and process with the children. Too Many Toys and What to Do About It Christina, mother of 4, talks about the process they went through to get rid of the excess and what guidelines they set in place for what stayed. Keeping things from coming into the house is just as important as getting things out. Are you looking for a walkthrough to help you overcome the overwhelm and take begin running your day, instead of your day running you? Click here for the 30 Days To A Clean & Organized Home guides. Many great links. Thanks for sharing! Thanks for this post! I have found that much of the minimalism writing is targeted (written by) young couples and singles, and so there isn’t a sense that families can do this. We can and we do! THANKS FOR POSTING THIS! i AM A SINGLE MOM WITH A THREE YEAR OLD AND I’VE STRUGGLED TO FIND GOOD ARTICLES TO READ TO HELP ME FIGURE THIS ALL OUT. vERY HELPFUL! What’s do you do about toy gifts family Gives? MY HUSBANDS PARENTS give like 20ish toys to each of my children every Christmas and then ask about said toys. It’s so overwhelming!! HOW DO I FIX THIS? I have the same problem. After 7 years of this, my husband has finally had a big chat with his parents about it. Its important to be kind and respectful, but they need to respect our values as well. Ask them to request a list of needs and a few wants around the time they are ready to buy and remind them to not go in excess. Suggest tickets to events or memberships to museums and ask them to join when you go. The kids will remember experiences rather than toys and they are never satisfied, no matter how many toys they have. I give my family a list of experience gifts my kids would like, such as tickets to places, craft supplies, a family recipe printed on the card with the ingredients to make it, restaurant gift cards, and most importantly memberships. My dad and stepmom got my kids a children’s museum membership last year for their Christmas gifts and we have had more fun with it than anything of the toy gifts they have gotten through the years. This coming Christmas I have let both sets of grandparents know that we would prefer a membership somewhere for Christmas, such as: zoo, children’s museum, Schlitterbahn, moody gardens, state parks pass, etc. Very Practical and useful information!